Sports and Entertainment Law Insider – Sports and Entertainment Law Insider Named Best Niche and Specialty Blog of 2018! 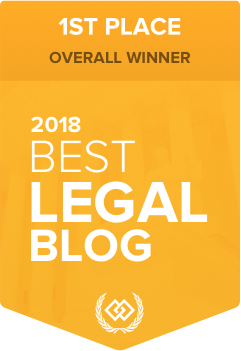 Sports and Entertainment Law Insider Named Best Niche and Specialty Blog of 2018! 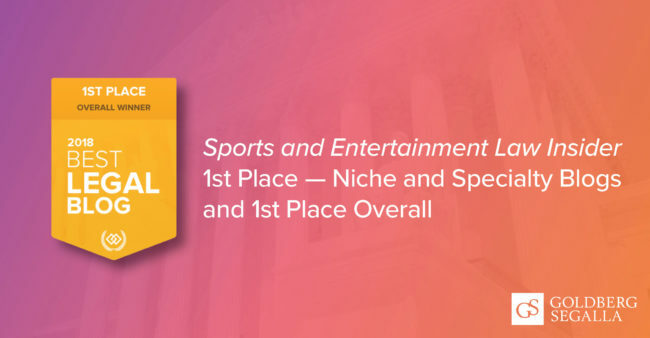 We are pleased to announce that the Sports and Entertainment Law Insider blog has been named the best niche and specialty blog in the country and earned 1st place overall in The Expert Institute’s Best Legal Blog Contest for 2018! We promise to continue provide the latest and breaking news in the sports and entertainment world. Whether you’re legal counsel for a professional sports team or represent entertainers in the film industry, we keep you up-to-date on the legal battles, developments, and trends impacting all aspects of sports and entertainment.